Can a society, a culture, a country, be trapped by its own memories? The question is not easy to answer, but it would not be a bad idea to cautiously say: ‘It depends’. 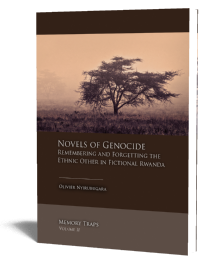 This book is about one society – Rwanda – and its culture, traditions, identities, and memories. More specifically, it discusses some of the ways in which ethnic identities and related memories constitute a deadly trap that needs to be torn apart if mass violence is to be eradicated in that country. It looks into everyday cultural practices such as child naming and oral traditions (myths and tales, proverbs, war poetry etc.) and into political practices that govern the ways in which citizens conceptualise the past. Rwanda was engulfed in a bloody war from 1990 until 1994, the last episode of which was a genocide that claimed about a million lives amongst the Tutsi minority. This book – the first in the Memory Traps series – provides a new understanding of how a seemingly quiet society can suddenly turn into a scene of the most horrible inter-ethnic crimes. It offers an analysis of the complexities and dangers resulting from the ways in which memories are managed both at a personal level and at a collective level. The main point is that Rwandans have become hostages of their memories of the long-gone and the recent past. The book shows how these memories follow ethnic lines and lead to a state of cultural hypocrisy on the one hand, and to permanent conflict – either open and brutal, or latent and beneath the surface – on the other hand. 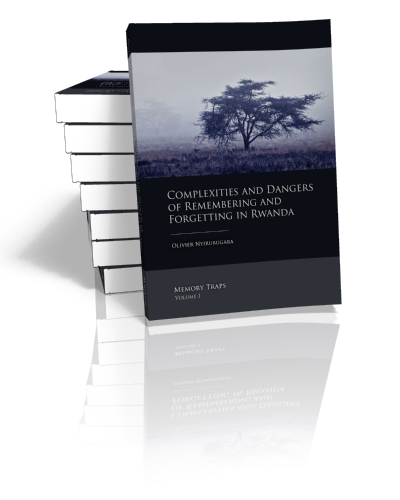 Written from a memory studies perspective and informed by critical theory, philosophy, literature, [oral] history, and psychology, amongst others, this book deals with some controversial subjects and deconstructs some of the received ideas about the recent and the long-gone past of Rwanda. 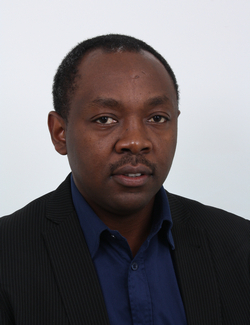 Dr. Olivier Nyirubugara is lecturer in Journalism, Media Theory, and International Communication Management at The Hague University of Applied Sciences. Between 2012 and 2016 he lectured New Media and Online Journalism at Erasmus School of History, Culture and Communication (Erasmus University Rotterdam). His main areas of publication include cultural heritage, cultural memory, history education, and digital media.